Meme of the Week: Bad Luck Brian | The Gettysburgian. According to KnowYourMeme.com, it was eventually revealed that the image is of a teenaged Kyle Craven, a man from Ohio. The image macro was originally posted to Reddit by a friend of Craven’s, where it slowly gained popularity before being picked up by other websites, such as Buzzfeed and Tumblr. Once the meme was present on multiple websites, it gained a lot of traction. Since then, it has become a mainstay of meme culture and Craven himself has come out and said how much he enjoys the meme. 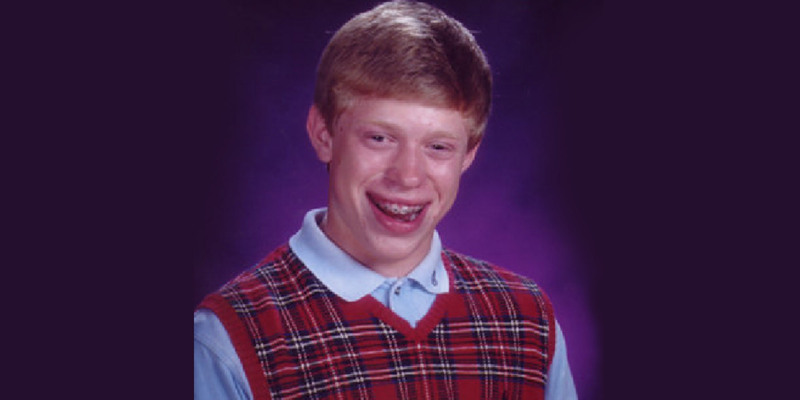 Ironically, Bad Luck Brian has had quite a fair amount of good luck when it comes to being popular on the Internet.